Here at H&L we remember a time when one of the joys of being on a European holiday was flicking through the postcard stands, trying to pick the prettiest picture to send home to friends. Unfortunately the day of the postcard has almost (but not completely) vanished and instead, taking postcard-worthy photos has been left to the iPhone and Instagram savvy. So where do you go to find picture perfect European Towns? With so many beautiful places to visit in Europe the options really are plentiful, however we have selected a few of the best for your homemade postcard pleasure. 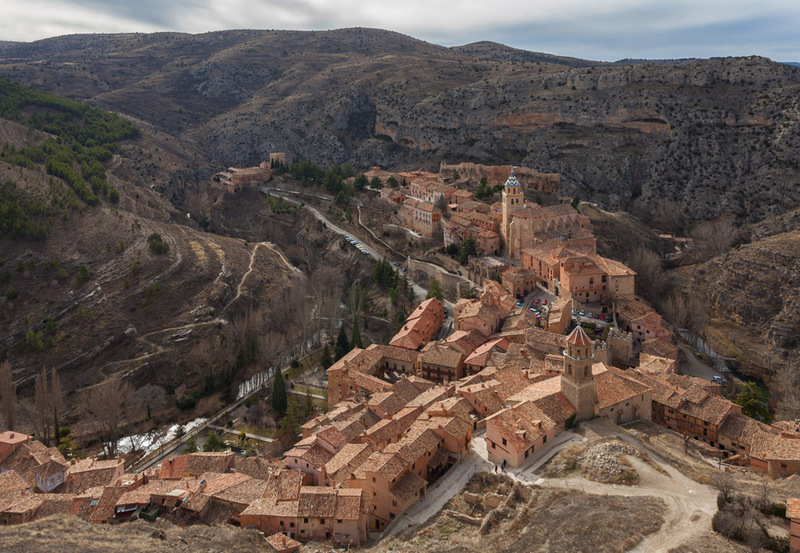 The sleepy little Spanish town of Albarracín in the province of Teruel has a way of making you fall in love with it just from staring at a photograph. Just two hours from Valenica, the old medieval-esque, come Roman, come post-Palaeolithic town is built into the dusty hills of Aragon looking out towards the Guadalaviar River. Warm terracotta hued buildings, steep cobbled streets and imposing church towers provide an inviting insight into old Spain. Not to mention, it is absolutely stunning! So technically a compact city rather than a town, we could not leave Amersfoort off the list. Holland is renowned for its beautiful towns and cities and Amersfoort is in our opinion one of the most attractive, if not the most. 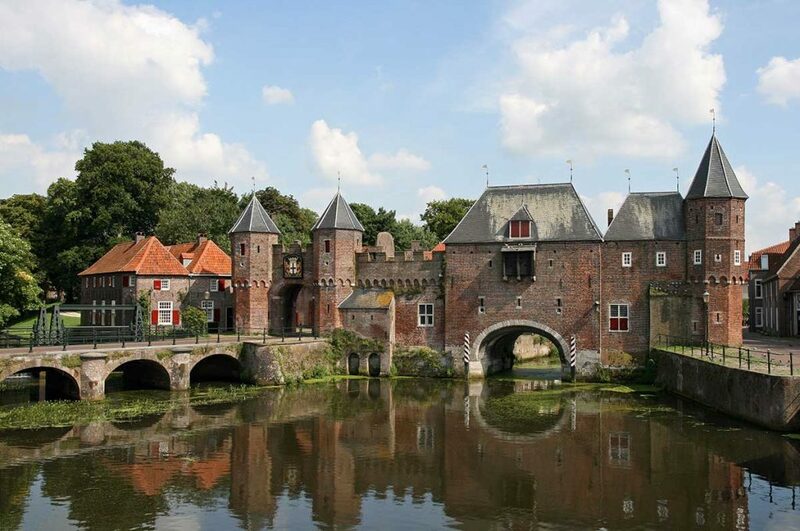 Explore Amersfoort by foot and discover remarkable historic buildings, well-tended monuments and picturesque canals in the unspoilt and protected medieval centre. Lovers of art will take pleasure in walking in the footsteps of Amersfoort’s most famous historic resident, Piet Mondrian. Explore the Mondriaanhuis museum and explore the house in which he was born. If art is not your thing the perhaps beer is. The city’s beer brewing reputation dates back to the Middle Ages and sipping a beer at city brewery De Drie Ringen or Den Grooten Slock, the oldest café in Amersfoort is a must. Have you ever seen a town that looks as if it belongs in a storybook? Český Krumlov is that town. Situated in the South Bohemia region of the Czech Republic, it is impossible not to be captivated at first glance by the panoramic views of the 13th century castle that rises above the picturesque old town and the bisecting Vltava River. The castle itself has Gothic, Renaissance and baroque elements that combine to create a majestic shrine to a long forgotten time. In fact Český Krumlov’s Old Town hasn’t experienced major changes since the 19th century and has maintained its historic character wonderfully. Strolling through the narrow cobblestone streets that wind along romantic nooks between houses, you will cosy inns, coffee shops, and ancient taverns that entertain a diverse international crowd. A visit to Český Krumlov will leave you in no doubt as to why it is included on the esteemed UNESCO list. Deciding upon a French town was an almost impossible task- France is so beautiful and French towns in particular hold a certain je ne sais quoi that we can’t get enough of. However after a long deliberation we decided to include Colmar. It is a town in the Alsace region of north-eastern France, near the border of Germany. This storybook little town is characterised by charming half-timbered medieval and early Renaissance houses lining cobblestone streets and the area known as Little Venice is particularly ‘picture perfect’. If wine is your thing, and why wouldn’t it be, the city is on the Alsace Wine Route. Stop off at the local vineyards that specialize in Riesling and Gewürztraminer wines for a lazy afternoon treat. Grape Escapes offer two and three night flexible packages here which include accommodation in a range of hotels with breakfast, a full day wine tour and a traditional Alsatian dinner. Prices start at £355 per person based on accommodation in a twin or double room and the breaks are available mid-week and weekends from April to the end October. 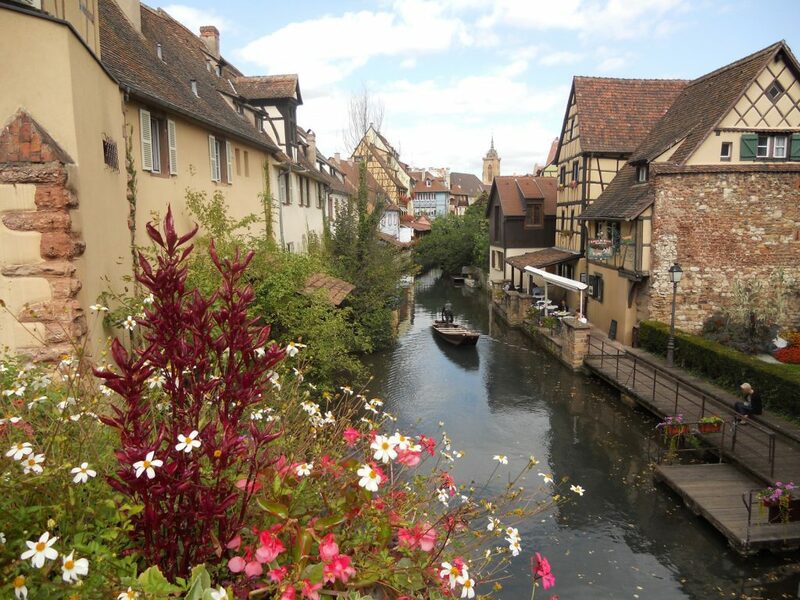 Please see http://www.grapeescapes.net/destinations/alsace/the-tours-2/essential-colmar/ for more detailed information. Cortona and Il Borro are just over an hour’s drive away from one and other which quite obviously means that they are two separate places. One a charming small village in the Chiana Valley and the other a former medieval village. They do however have one thing in common; they are both within the province of Arezzo in southern Tuscany. Here at H&L we recommend staying at Il Borro for a week and then driving to Cortona for a few days. As they are within such close proximity it seemed fitting to include them both. Owned by the Ferragamo family, Il Borro used to be a medieval village which has now become an authentic working estate in the heart of Tuscany.The hotel’s concept is unique; a working estate tempered with simple luxury and authenticity, offering a truly genuine Tuscan experience. The harvesting of produce is all encompassing at Il Borro, from their vineyards spreading 45 hectares and producing five varieties of grape extracts, to their much loved bee hives and freshly produced honey. Set within the 700 hectare estate with a 19th century villa, the hotel features two restaurants, a wine cellar and is surrounded by vineyards which produce Il Borro’s own wine. 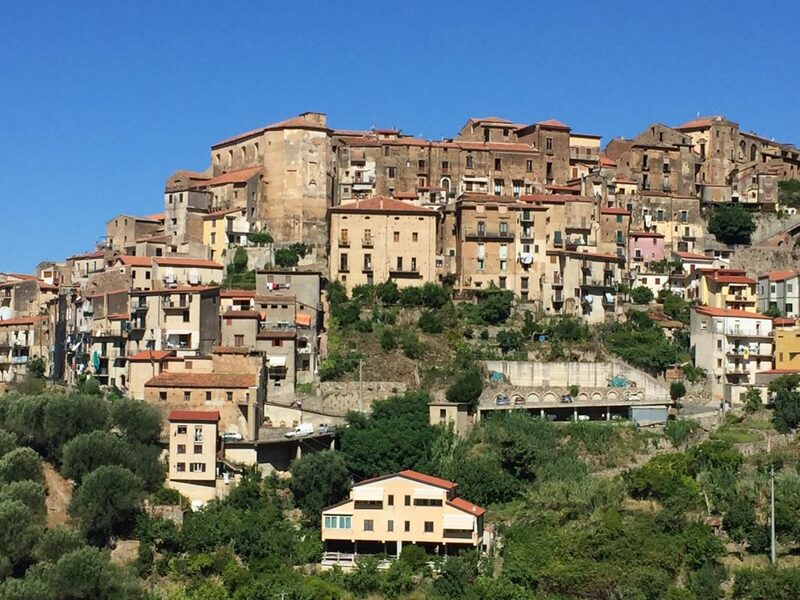 Cortona fits the bill for a picture perfect town to visit. 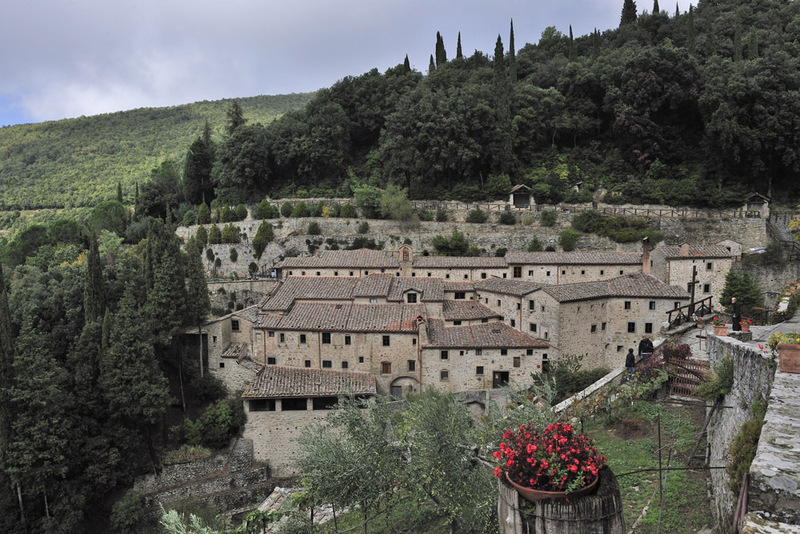 After a week spent in Il Borro bliss get on the road and drive for just over an hour to this small charming town. Enclosed by stone walls dating back to Etruscan and Roman times, Cortona is a delight for the eyes. Set on a hilltop overlooking the valley, Cortona offers spectacular views of the surrounding area and even Lake Trasimeno. Many people describe Hallstatt as the “world’s most beautiful lake-side resort” and it is easy to see why. It is the ideal marriage between town and an area of natural beauty; they blend seamlessly together to create one picture perfect European town. Perhaps that is why Hallstatt joined the list of UNESCO “World Cultural and Natural Heritage” sites in December 1997- go figure, we are not the only ones to have noticed its beauty! 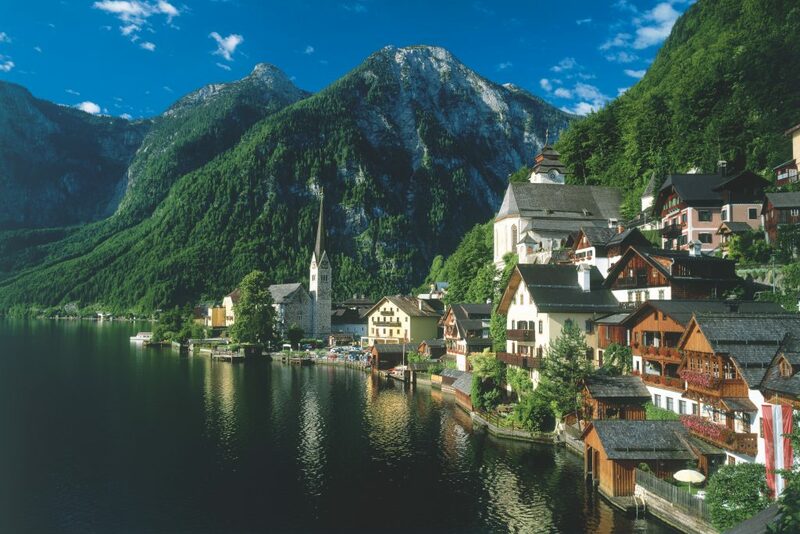 Hallstatt is nestled into Austria’s mountainous Salzkammergut region and with its 16th-century Alpine houses and Gothic Catholic church that sits on Lake Hallstatt’s western shore, it is almost perfect in every way. You will have no doubt stumbled across the second smallest of the famous Cinque Terre towns whilst searching for travel inspiration on Pinterest. 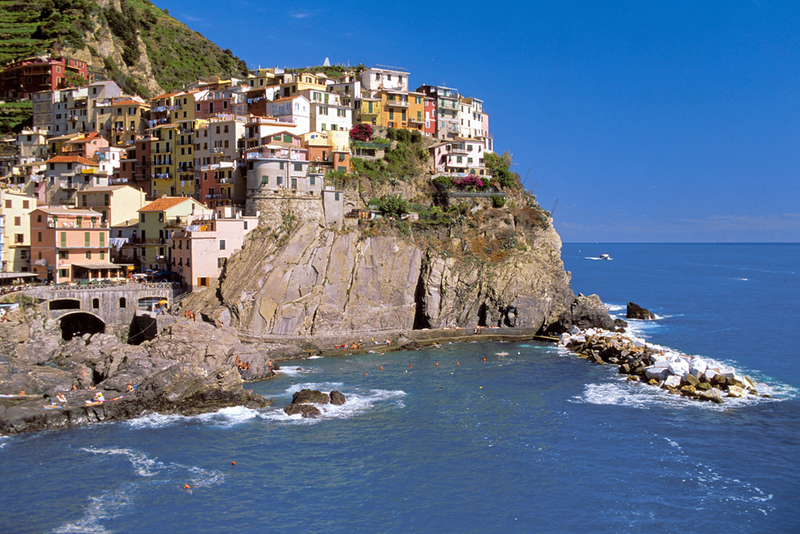 That is because, like many Italian towns, Manarola is perfectly formed and makes for a fantastic photo. This romantic town comprises of bright coloured washed houses stacked upon the rugged coastline edge. Located in the province of La Spezia, Liguria, Manarola is not only a feast for the eyes, it is also a treat for your taste buds. Let us explain. Manarola is known for its sweet Sciacchetrà wine which is typically paired with desserts or cheese; families have been passing down this winemaking tradition for generations and trying a glass is one of the must-have experiences when visiting Manarola. Mariánské Lázně is a beautiful spa town in West Bohemia, Czech Republic. It is made up of romantic colonnades, pleasant pavilions, sweet cafes and hotels full of boutique charm. As a spa town it could not have a more idyllic setting, surrounded by mountains, forest, healing mineral springs and verdant green parks. In fact, within the town and its surroundings rise around one hundred mineral springs, containing carbon dioxide and mineral salts. For lovers of the arts, watching a performance of the Bohemia Symphony Orchestra is a wonderful pastime. Take a trip to visit the spa Colonnade and its enchanting Singing Fountain. Every other hour the fountain dances to one of the many famous compositions played throughout the day. The Bellagio fountain this is not but it is a charming spectacle none the less. We recommend watching the fountain at night where the cascading water is illuminated by colourful lights. 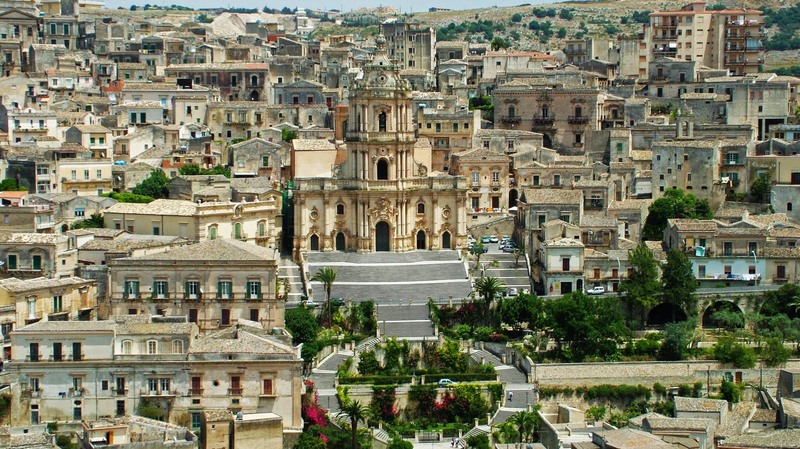 One of south east Sicily’s UNESCO-listed Baroque towns, Modica is split into two distinct parts, a lower part and the upper part, Modica Alta which houses the town’s old medieval quarter. Here, the Duomo di San Giorgio’s magnificent grand façade, complete with curving bell tower and elaborate frills and twirls, overlooks the town from a lofty position above twin staircases. Down in the lower part of town, narrow lanes and staircases climb up from both sides of the principal Corso Umberto, the main location for some excellent cafes and chocolate shops such as the renowned Antica Dolceria Bonajuto. Stay in the heart of the medieval quarter at the exclusive Hortus Suites where bedrooms feature lava-stone bathtubs and exquisite art pieces created from local materials. After a busy day’s sightseeing, chill out in the indoor spa or outside, under leafy fig trees, in the plunge pool or gaze out over the cathedral from the terrace. A 3-night stay at the Hortus Suites starts at £546 (sleeps 2) with Wish Sicily (www.wishsicily.com, 020 7193 7302). Possibly the most famous and definitely the most beautiful town of Santorini, Oia is a reflection of what a perfect Greek town looks like. 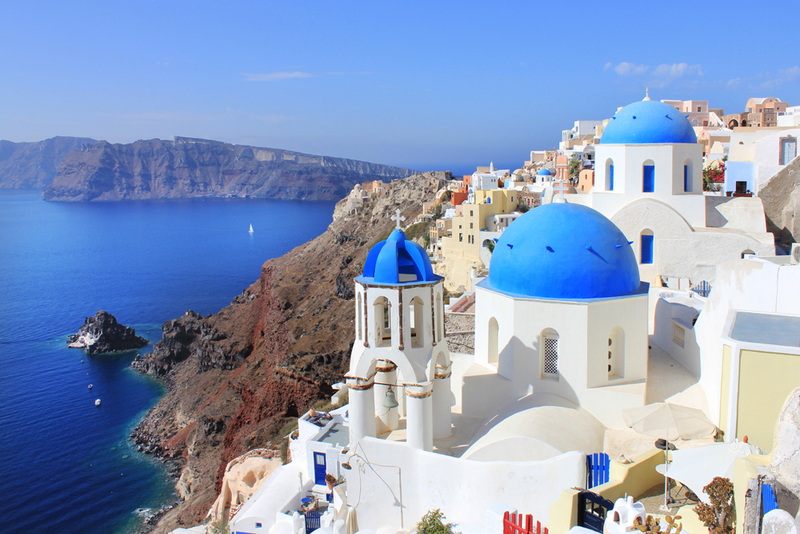 Visually striking with white washed houses perched along narrow cobbled paths, sun-drenched terraces and the iconic blue domes of the Greek churches, Oia could have been home to the Greek gods. This Cliffside village provides spectacular volcano views over Nea Kameni as well as being famed for its sensational colour rich sunsets. Romance is hard to avoid in Oia. 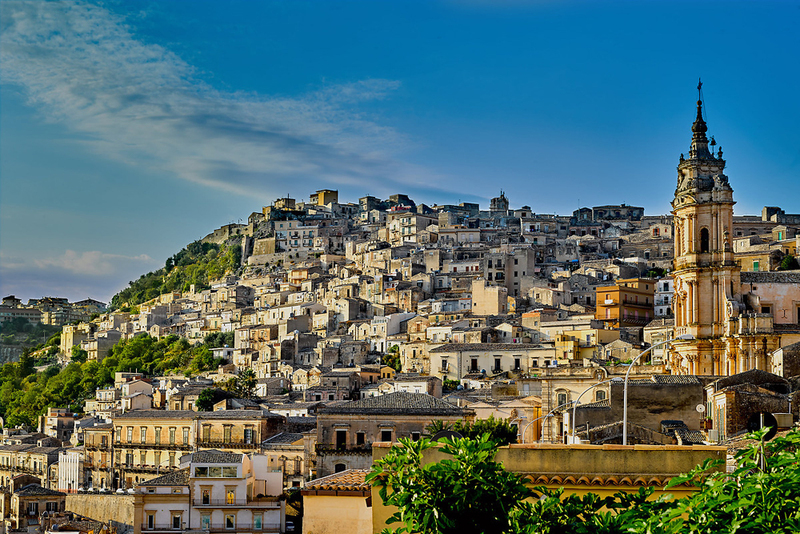 Experience southern Italy in all its glory in medieval Pisciotta where narrow alleys and stairways are bordered by palazzi and houses dating back to the 16th century and the coastal road has breath-taking sea views. Glistening aubergines and sun-ripened tomatoes accompany simple fresh pasta dishes alongside plump freshly caught anchovies at the town’s main restaurant, L’Osteria del Borgo, and a local shuttle bus ferries visitors up and down the winding road to the marina below town. Hop on a boat to explore some of the smaller bays along the coastline or head inland for some fabulous hiking in the Cilento National Park. Stay at the Hotel Marulivo, a restored 14th century monastery with terraced flower-filled gardens and a stunning panoramic terrace where breakfast is served. Bedrooms featured terracotta flooring, exposed stone walls and big picture windows that look out over the coastline. One week from £525pp on a B&B basis, including car hire, with ExpertoItaly (www.expertoitaly.com, 020 7520 3100). 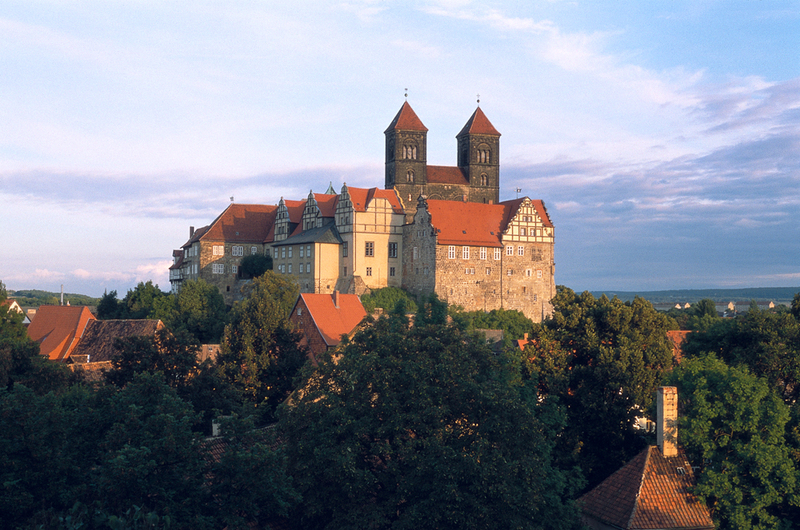 Germany is full of picturesque towns but none more so than Quedlinburg. It is bursting at its proverbial borders with traditional German charm. Half-timbered medieval houses line the narrow and crooked cobblestone streets and the roads around the market place house some of the prettiest and most decorative buildings we have ever seen. Germany is of course renowned for its charming Christmas markets and the 1000 year old UNESCO world heritage town of Quedlinburg puts on a festive spectacle. Every inch of the town is adorned with decorations and the Christmas market is set up in front of the town hall. It is a beautiful place any time of the year but there is something extra special about Quedlinburg during the Christmas period. The picturesque Portuguese town of Sintra, often referred to as a fairy-tale town, is scattered with charming cobbled streets, ancient ruins, ornate palaces and stately homes. Set amidst the pine covered hills of the Serra de Sintra, this slightly cooler climate enticed the nobility and elite of Portugal, who constructed the exquisite palaces, extravagant residences and decorative gardens. 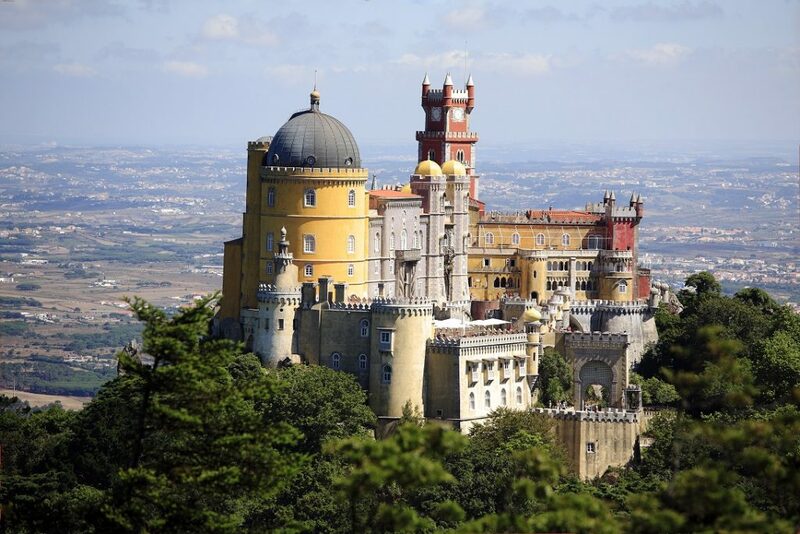 The variety of fascinating historic buildings and beautiful scenery has established Sintra as a top rate tourist destination and the most popular day trip from Lisbon. Just 25 minutes’ drive from Sintra and inside the Sintra National Park, protected by UNESCO Heritage, is the 5 star luxury hotel, The Oitavos. The Oitavos is the perfect destination for lovers of the outdoors, culture, gastronomy, spa and wellness; overlooking the protected sand dunes, the Atlantic coast and its surrounding beaches, it is truly a remarkable destination ideal for travellers in search of nature and escape. The Beautiful scenery with which The Oitavos is surrounded by and its short drive from picturesque Sintra, makes this a truly breath-taking European experience. One of the Poland’s most interesting and unique places to visit is Zalipie, a small village in the South-East. To the immediate eye the village appears quaint and rather unassuming, but on closer inspection a Hansel & Gretel-esque fairy-tale treat emerges. 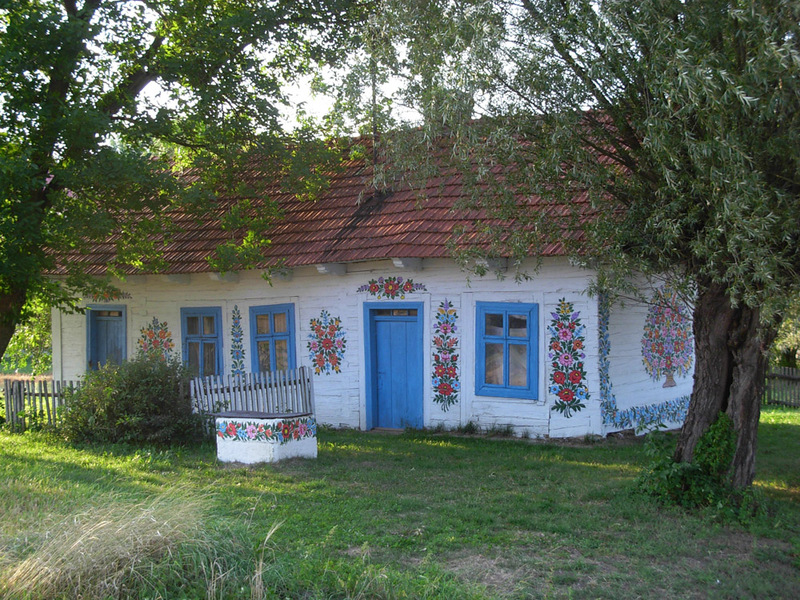 Small wooden cottages make up the small town and are individually hand painted with vibrant floral patterns and intricate decoration. Over a century ago the women of Zalipie became disgruntled by the faults in the facades of the houses and so began the tradition of covering up the faults with beautiful artisan designs. This lovely tradition has stuck around and is updated year after year drawing tourists in from all over the world.